Viknesh Vijayenthiran October 12, 2017 Comment Now! 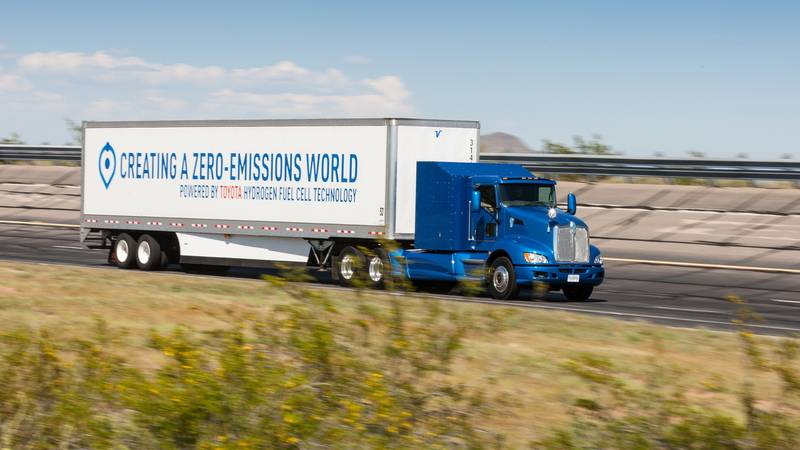 Toyota in April revealed a fuel cell-powered semi-trailer truck as part of its Project Portal program which aims to determine whether there’s a viable future for the zero-emission technology when it comes to heavy-duty applications. On Thursday, the automaker announced that the truck is currently being used for short routes, known as drayage, at ports in California. An initial trial has seen the truck haul goods from select Port of Los Angeles and Long Beach terminals to surrounding rail yards and warehouses for distribution. 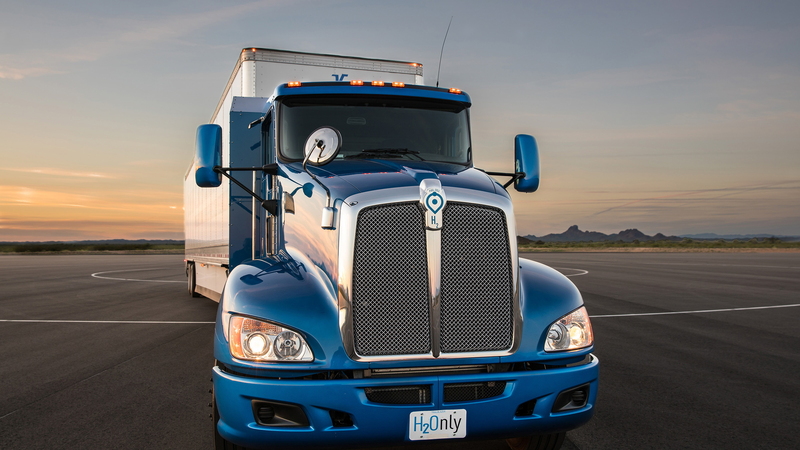 Toyota says these short, frequent route patterns are designed to test the demanding drayage duty-cycle capabilities of the fuel cell powertrain while capturing real world performance data. As the study progresses, longer haul routes will be introduced. As previously reported, Toyota’s fuel cell truck weighs 80,000 pounds and features two Toyota Mirai fuel cell stacks generating enough energy for the truck’s electric drive system to deliver 670 horsepower and 1,325 pound-feet of torque. 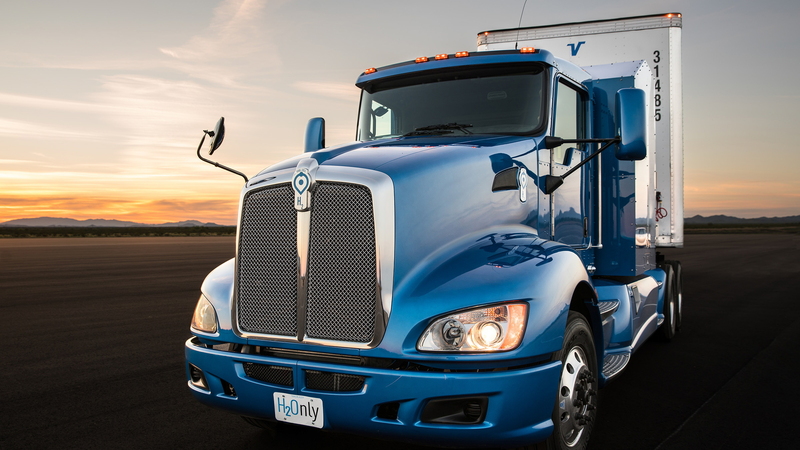 With its hydrogen tanks filled, the truck has a range of 200 miles. The truck also has a 12-kilowatt-hour battery though this is too small to provide any usable range on its own. 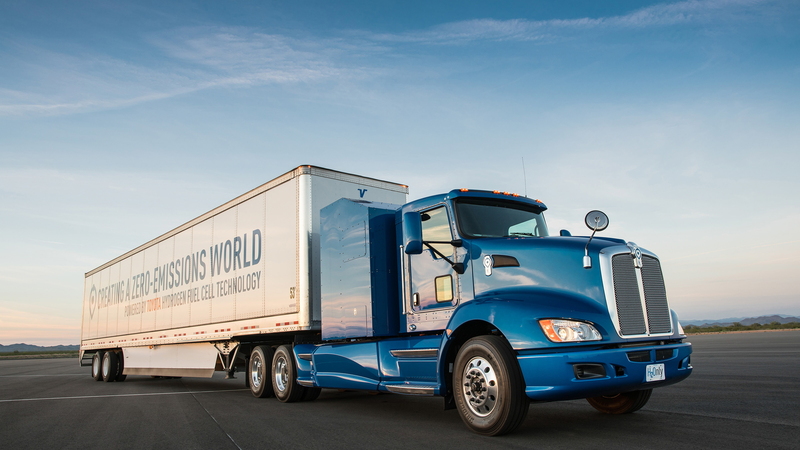 The latest announcement comes just days after General Motors unveiled a modular platform for fuel cell trucks. Dubbed the Silent Utility Rover Universal Superstructure, or SURUS for short, the platform holds enough hydrogen to cover roughly 400 miles. 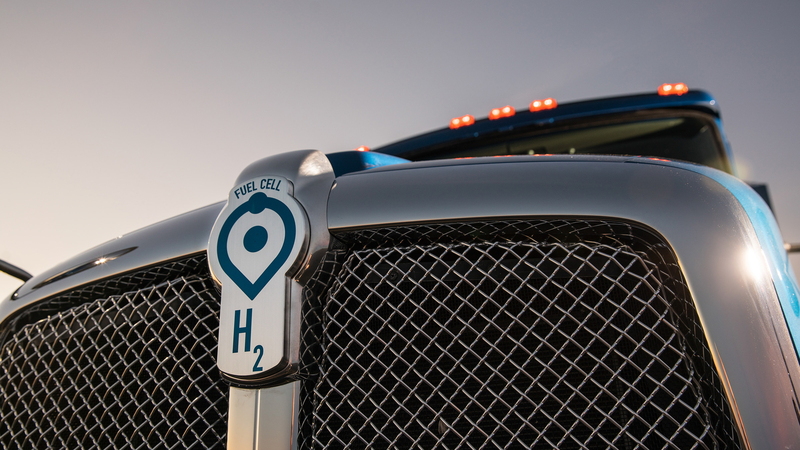 While neither GM nor Toyota are yet to announce production plans for their respective fuel cell trucks, American startup Nikola has announced a fuel cell truck for production. However, Nikola’s design, which was shown in December 2016 and targeted for production in 2020, also has a sizeable battery allowing for a decent electric range before the fuel cell needs to kick in. With a full charge of its battery and its hydrogen tanks topped up, Nikola’s truck, known as the One, should be able to cover between 800 and 1,200 miles.